SOUTH PHILADELPHIA, PA — Since September 1, the South Philly Food Co-op has raised $33,800, a momentous start to its fall “$60K in 60 Days” member loan match campaign. Raising $60,000 by October 31 will unlock an additional $30,000 pledge from the Board of Directors, bringing the Co-op even closer to groundbreaking. The South Philly Food Co-op will be South Philadelphia’s only community-owned grocery store — a place where neighbors can come together for fresh, whole, real food as well as community and food-centric education. It will take $1.14 million to capitalize the Co-op and transform the empty space at 2031 S. Juniper St. into a fully stocked grocery store. The Member-Owner Note Program is the core of the Co-op’s capital campaign. It is a way for member-owners to invest in the Co-op, just as they would for any other start-up business. Programs like this have served as a powerful tool for food co-ops across the country. To learn more, visit southphillyfoodcoop.org. Big news first: On Wednesday, August 22, the South Philly Food Co-op will host a special meeting of the members, to give our 920 member-owners the opportunity to vote on three proposed bylaw amendments. We'll also share some exciting news about our leadership team and celebrate some big milestones reached in our Capital Campaign! Read on to learn more, and we hope to see you on the 22nd! P.S. Want to help us open sooner? Become a member today, or if you're already a member, deepen your investment through a member loan. Thank you for your support! Join us TONIGHT for the latest and greatest in our series of Co-op happy hours! Plus, our generous hosts (and future neighbors!) have donated a gift card/beer basket for us to raffle off to attendees. Come for the guac, stay for the cooperation (and beer). Save the date: Please join us Wednesday, August 22 for a special meeting of the members! Come meet our newly minted members of the Board of Directors; learn some exciting news about leadership changes on the Board; and -- most importantly -- vote on three key bylaw amendments. change our Board candidacy qualifications such that adult candidates must only be a member-owner in good standing, for any length of time. Voting "yes" on these measures would simply make volunteerism and attendance at an orientation optional; and provide more flexibility in Board development. Our bylaws are available for review here: southphillyfoodcoop.org/bylaws. You can read more about the proposed bylaw amendments here. Primary member-owners will be receiving an email with an opportunity to vote digitally, or may choose to attend our event on the 22nd to vote in person. Wednesday, August 22, 6-8 p.m.
We're excited to announce that board member Emily Wyner is stepping into the role of Capital Campaign Organizer! Emily holds a master's degree in organization development and leadership, and focuses her consulting work on capacity building and expansion for mission-driven organizations. You'll be hearing much more from her in the coming months. Want to become a member-owner or deepen your investment through our member loan program? Drop Emily a line! She's treating anyone who reaches out to coffee — and a private store tour, in case you haven't seen the space yet. Cate Murray will still be raising funds for the Co-op in the near term with particular emphasis on larger and institutional investors. She's also working on a number of other food-related projects in the area. Follow her on Instagram at @freeandplenty or find her on Wednesday nights at Hale and True, Philly's Best Cidery. Welcome all, and thank you for your service to the Co-op! Lastly, we'd like to take a moment to say thank you to outgoing Board members Matt Stearn, Katy Travaline and founding president Alison Fritz for your time on the Board. These folks brought tremendous energy, passion, insight and expertise to the table, and will be missed dearly! June 2018 Newsletter: Building Updates, Board News, a Traveling Cocktail Party and More! And so much more. Thanks as always for your support and your participation! P.S. If you'd like to cook or donate food or drink to the Kitchen Crawl, please fill out this form! P.P.S. We'd like to wish our Board President, Jessica Calter, a very happy birthday today! Thanks for everything you do for the Co-op. Four Board members were (re-)elected to our Board of Directors for another two-year term! Big congratulations and gratitude go out to Jessica Calter, Angel D'Ippolito, Anna Kisiel and Emily Wyner. We couldn't do this without you! Our committees are busy ... really busy. Our Facilities team has shepherded phase 1 of construction (scroll down for details); our Outreach team has been setting up Co-op tables at events from river to river; our Food Justice & Equity Committee is gaining ground in establishing inclusive and equitable practices, processes and policies to help us enact our mission of using food as a force for good. Building News: Phase 1 of Construction Is Complete! We shared this exciting news at our General Membership Meeting, and we’re so pleased to share it with all of you: With building permits in hand, we have started construction! We hired Philly-based small-business owner Buckminster Green as our general contractor to do the first of two phases of construction. The first phase was limited to framing out the store; this framing was necessary to allow our landlord to complete their agreed-upon improvements, including electrical and HVAC installation and distribution. Phase two won’t start until all financing and fundraising is in place, but we’ll be ready to go when that all comes together! Join us for a very special event at the end of the month! The Kitchen Crawl is a South Philly interpretation of a traveling dinner party, offering samples and sips of Philly’s local food scene at homes of South Philly Food Co-op member-owners. Small groups will travel from home to home, including a stop at our future store location at 2031 S. Juniper. Tickets will be offered for $30 to Co-op members and $40 to non-members. Only 100 tickets will be sold, to ensure our event is an opportunity for neighbors to have authentic interactions with chefs, entrepreneurs, and fellow food enthusiasts that make up Philadelphia’s vibrant culinary community. Saturday, June 30, 3-6 p.m., $30 (Co-op members)-$40 (general admission), registration at 2031 S. Juniper St., southphillyfoodcoop.org/kitchencrawl. Quick reminder that the 2018 Philly 10K has chosen the Co-op as its beneficiary! We're honored to be partnering with this amazing organization that rallies thousands of runners around a singular passion: the City of Brotherly Love. Save the date and cheer on all the runners! Sunday, August 26, 7:30 a.m., add your name to the registration waiting list at thephilly10k.com. P.S. Don't forget, you can always check our event calendar or Facebook page to stay up-to-date on Co-op happenings. Help Us Wrap Up Our Capital Campaign! Now that we're more than halfway to our overall fundraising goal, we're seeking YOUR expertise! Based on recent expert recommendations, we are turning our focus heavily toward our member equity and member loan programs. What's your strategy for helping us raise $250,000 in remaining capital? Proposals are due by Tuesday, June 19. Welcome Fante's to the Fam! Our long-running local business partnership program Shop South Philly offers exclusive discounts and specials to South Philly Food Co-op member-owners when they shop at dozens of participating boutiques, restaurants and other shops. Just show your member card or member ID number at the following local businesses to receive your discount. We'd like to give a warm welcome to everyone's favorite Italian Market kitchen outfitter, Fante's, our newest Shop South Philly partner business! Present your card at purchase to receive 10% off tools and 5% off electrics. Don't forget to patronize Shop South Philly partner businesses often, and thank them for their participation! Happy 2018! We hope your year is off to a happy, healthy start. First and most importantly, we're hosting a happy hour on Thursday, January 25, and you're invited! Please join us from 6-9 p.m. at the Black Cat Tavern to celebrate the new year and hear more about what the Co-op has in store in the coming months. All attendees will get $1 off all drafts and $1 off all well drinks. We'll also be raffling off some great prizes, like 76ers tickets and a beer basket donated by The Black Cat! Hope to see you there! If you've been following us over the past couple of months, you know that in November, we launched You and Yours, a big year-end campaign with really big goals: to gain 100 new member-owners and $100,000 in member loans by December 31. We knocked on lots of doors, made lots of phone calls, met with lots of folks and had a ton of great conversations about what it means to own a grocery store along with hundreds of your neighbors. We hosted events at coffee shops and bars around the city, and asked you to deepen your involvement -- and your investment -- in the Co-op. So many of you stepped up as member-owners and pledged member loans, and we're so grateful for your support. We can file all those conversations and connections and commitments in our “win” folder, but we also think it’s important to be honest with our supporters and let you know that, despite our very best efforts, we have yet to reach our 2017 year-end financial goals. We raised nearly $8,000 in member loans from folks just like you in South Philly who believe in the power of taking ownership of our local economy. Plus, we added 38 member-owner households to our roster over the course of just six weeks. That means we're 853 strong, and growing every day. So what does that mean for 2018? It means we keep working to close our fundraising gap. We still need to raise more money to cover construction costs and get our doors open at the South Philly Food Co-op. And we can't do it without you. Do you know a neighbor, friend or relative who's been meaning to become a member-owner? Would you reconsider making a loan to the Co-op? Please think about helping out. Can you offer any suggestions on furthering our outreach and community engagement efforts? We’d love to hear from you. We’re all dreaming about shopping at the South Philly Food Co-op. If we continue to work together, we can make it happen. P.S. Looking for a Valentine’s Day gift for that special someone? On February 7, hand-paint something personal for the ones you love at Co-op Night at The Expressive Hand, where you’ll get 10% of your purchase, and 10% of all sales will be donated to the Co-op. Or, grab your sweetheart some sweet Co-op swag! We’ve got a handful of our limited-edition T-shirts and onesies on sale at Nice Things Handmade; and some storefront-sketch tea towels over at the Occasionette. NOW, THEREFORE, BE IT RESOLVED that the Board intends for the South Philly Food Co-op to offer its member-ownership fiscal benefits through patronage refunds and through flexible (rather than standing) in-store discounts. In a patronage refunds model, the Board of Directors will approve a certain percentage of profits (in years the Co-op is profitable) to return to the Co-op’s member-owner households, proportional to what they have spent in the store since the previous refund. The Board reserves the right to choose not to allocate a refund and instead retain the capital for expansion or development opportunities in service to the member-ownership. Flexible in-store discount options include member-owner appreciation days, special prices on selected products, coupons, special orders, case discounts, and more. The General Manager will be responsible for implementing the in-store discount program(s) for member-owners, with support and oversight from the Board of Directors. The South Philly Food Co-op Board of Directors is permitted to null or modify the terms of this resolution at any point in time. September is a big month with big goals here at the Co-op. Right now, we have an amazing opportunity to meet those goals: If we can get $10,000 in new member-owner loans by the end of September, we have an extremely committed Board member who is willing to match those loans, dollar-for-dollar. YOUR $1,000 LOAN COULD BECOME $2,000. You can make a loan to the Co-op in the amount of $1,000 or more, and receive 0, 2, or 4% interest back over 6, 8, or 10 years -- your choice, in any combination. Make your pledge today, and someone from our capital campaign team will follow up with you. Member loans are a way for member-owners like you to deepen their financial investment in the Co-op and help finance our journey to store opening. Your loan will be repaid with interest after we’re open, which is a major win-win! Visit our FAQ about member loans, or make your pledge today. Our Board and volunteers are working hard to get us to store opening -- but we’ll only get there if member-owners like you contribute, too. 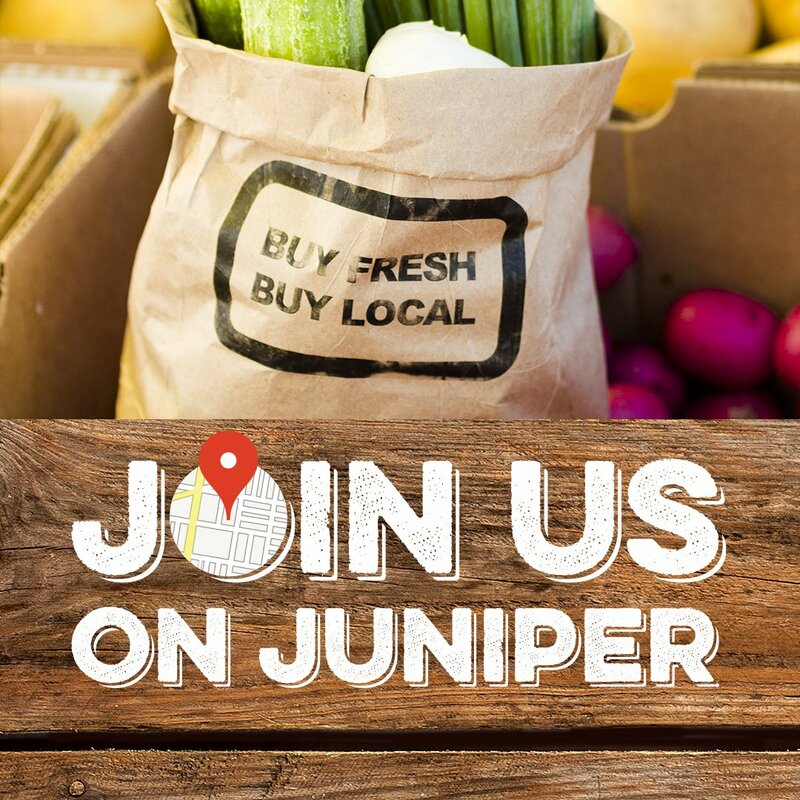 This match from our dedicated Board member is an incredible opportunity to unlock extra funds to help us open our community-owned marketplace in 2018. Help make this a milestone month for the Co-op with your pledge! Our Capital Campaign has made great progress this summer: We've just passed the 800 member-owner milestone and raised over $340,000. That means we're a third of the way to our overall goal of $1 million -- money we'll need to stock, staff and open our community-owned grocery store. We couldn't have reached this important milestone without the generosity of our member-owners who have joined the Co-op and made loans through our Member-Owner Note Program. By being a member-owner and making a loan of $1,000 or more, you're saying you believe in us, in cooperative enterprise, and in an economically thriving and self-sustaining South Philly. To reach our goal, we need more member-owners to become local lenders today. Have questions? You can read some frequently asked questions, or email us so we can walk you through the process. If you're not already, we invite you to become a member-owner today. The Co-op is your store -- and if you ever have questions about the state of the Co-op or the Capital Campaign and can't find what you're looking for on our website, you can always drop us a line. The Food Justice and Equity Committee seeks to ensure that the South Philly Food Co-op is an accessible, welcoming, and valuable community institution for the widest range of neighborhood residents and stakeholders possible. Primarily in an advisory capacity to the Board of Directors, the Food Justice and Equity Committee will make recommendations for and drive implementation of policies, programs, and initiatives that support this vision. The Food Justice and Equity Committee will be convened on a monthly basis. Conduct the Co-op CARE Initiative with community groups and leaders to understand the barriers to being a customer and/or member-owner of the Co-op and perspectives on how to mitigate them; learn about the myriad ways the Co-op could be a programmatic resource to various communities and organizations in South Philly; assess the level of cultural and linguistic accessibility of the Co-op; make recommendations to the Board to improve in all of these areas, based on the findings. Develop the long-term purpose, goals, and governance of the committee, codify them in writing, and seek Board approval for FY 18 in the form of the adoption of a resolution or amendment to the bylaws to recognize the Committee's existence. Inform goals and priorities to guide the hiring of a General Manager. Engage more businesses owned by women, people of color, and immigrants in the Shop South Philly Program. Recruit candidates for the South Philly Food Co-op’s Board of Directors who are representative of the community. Provide ongoing education to the Co-op community about the cooperative enterprise and its role in economic empowerment and anti-racist efforts. If you are interested in participating in the Food, Justice and Equity Committee, please fill out our volunteer survey.